Since its independence in April 1991, the former Soviet republic of Georgia has been involved in not one but three armed conflicts. Simmering disputes within two regions of Georgia, Abkhazia and South Ossetia, between local separatists and the majority Georgian population, have erupted into widespread inter-ethnic violence and wars. The 1991-1992 South Ossetian War was the first armed conflict, and was quickly followed by the War in Abkhazia (1992-1993), which resulted in even more atrocities and human rights violations and ended only after claims surfaced of ethnic cleansing of the Georgian population in Abkhazia, leading to a UN investigation and subsequent cease fire. 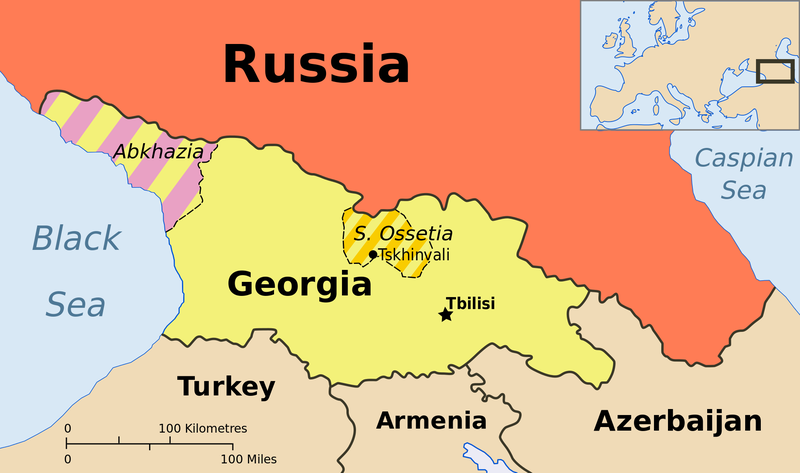 In 2008, after a decade of relative calm, military tensions and clashes between Georgia and South Ossetian separatists erupted into the Russo-Georgian War. Lasting from August 8-22, it was the first war in Europe in the 21th century. The war displaced almost 192,000 people. While many returned to their homes after the war, thousands of mostly ethnic Georgians remain displaced. Since the war, Russia has occupied Abkhazia and South Ossetia — in violation of the ceasefire agreement. Russia’s aim was clear — to return Georgia to its orbit — but the opposite has happened. In taking sides, Russia has pushed Georgia even further from its grasp. The Abkhazian and South Ossetian societies have also failed to reach their goals. Without recognition from the international community, they have not achieved their coveted independence. Most importantly, after the annexation of Crimea in 2014, they can see that their futures could also hold Russian annexation if they don’t start thinking of new approaches. And Georgia for a quarter of a century has failed to reach its goal — restoring its territorial integrity. None of the parties have succeeded, and they are all still hoping that sooner or later they will manage to without seriously considering the interests of those they are opposing. At this stage, the party to the conflict that manages to stand above their own interests — and to consider as well the interests of their opposite numbers — will create a new dynamic in terms of transforming the conflicts. If there is a political will, Georgia has the most real chance to implement a breakthrough in this regards, but at present, it continues to tread the same well worn path.